Hello Everyone ! So excited at all the new products Santoro are rolling out, I can hardly wait to tell you all about them , and I enjoy writing these posts so much, here’s news about NEW paintings added to their Card range, these would make perfect Xmas cards, & if you have any left over, just use them for any occasion ( They are all blank inside – for any occasion! ). It’s always exciting when new Gorjuss artworks are added into the collection, and we have just decided to feature three more of Suzanne Woolcott’s artworks. These artworks are entitled: ‘White Rabbit’, ‘because she is my rose’ and ‘little red’. Which is your favourite? They are all available as cards now, and can be seen and ordered here, or as always please ask your local Gorjuss stockist. Can you find the purrrrfect place in your home to hang this cute girl & her LOVE-ly Kitty? The canvas is thick, so it will even stand on a shelf, or on a dressing table, spreading the gorjuss-ness around the room! This will be lovely to gaze at each day! Is there room for this Gorjuss girl in your home? 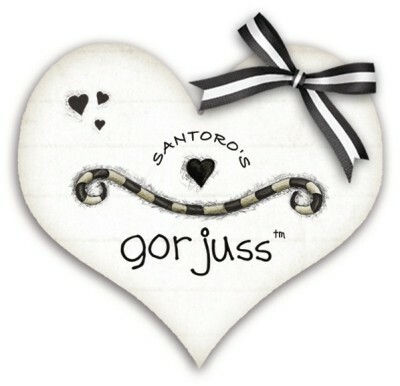 We will accept you to VISIT the Santoro Site, and let us know your favourite thing from the Gorjuss™ range so far! ( warning: It may take a while, you’ll love it all!!) and copy the URL ( the www.sitename/faveitem.html bit!) and paste it into your comment here! **TO DO THIS YOU MUST USE A SEPERATE COMMENT TO GAIN AN EXTRA ENTRY! Closes: 28th August at around 10pm GMT ( gorjuss time is shown on the blog clock!) Winner decided by Random.org. For Facebook readers, comments must be submitted on the actual blog www.gorjussart.co.uk/blog ). You can enter as many times as you want on the blog ( but only one entry on twitter) just no back to back posting ( i.e someone must post between your posts!) Remember, if you are nre to the blog, & haven’t ever left a comment, then it can take a while for your post to show up, but don’t worry, it will appear in the place you left it once it is approved by us, once you have one comment approved, all the following ones will show up immediately. 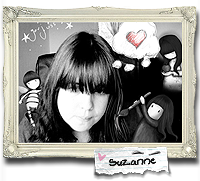 You do not have to create an account here on the gorjuss blog to leave a comment, you can sign in with your Facebook, Twitter (&more options!) ! For tweets to count, they MUST include our @gorjuss name AND have the comment left above included, you may add your own comment to it! Thanks for reading, & GOOD LUCK ! Anything that comes out is just perfect! I love my little angels, though, and hope that more of them show up! We just made a little adjustment to the required TWEET text to make it easy to just hit the re-tweet button above. All prior entries will still count so don’t panic.. Thanks to all who are entering this far. I wanna win! I think the next item will be a gorjuss girly! We’re hoping the next new products are lunchboxes & umberellas! Just visited a local shop (Nik Nak Noo in Malvern) that stocks lots of your lovely things, with my 5 & 6 year old daughters, we fell in love instantly! iPhone skins would be perfect because my sister & I just got one, and it would be brilliant to have one! :)) I already have a bag, and love it so so much! My faveourate product is the cross stitch new heights kit as I suffer from CFS and to pass the time it always makes me smile 🙂 Cant wait until I get finished! I think the next new release will be a mousemat of The Runaway. A blanket would be cool! I think the next release will be single tubes that aren’t available in the shop! I think the newest stuff for the shop will be single tubes that have not been released in the store yet! I think the next new sweetest gorjuss product will be a full dining set, plates, bowls, cup, glasses the lot! I would just love that! The next will be watering a tiny tree. Thanks!